Home » Articles » Who Is Eligible for a Medicare Supplement Insurance Plan? Shopping for healthcare can be confusing. Researching the options is important, and reading the fine print is integral in this process because there are so many intricate details to these policies. Anyone shopping around for Medicare insurance supplement plans should consider Plan Medigap. Plan Medigap lends a helping hand. They provide Medicare Supplement Insurance from top insurance providers around the nation and specialize in helping seniors navigate the Medicare market. Continue reading to learn about some key points, to help buyers select the best insurance policy for them and their family. Any health care costs, which aren’t covered by the Original Medicare coverage, can be taken care of by a Medicare Supplement Insurance. These plans can be accessed by checking out offers from private Medicare supplemental insurance companies. This type of insurance is hugely beneficial, especially when policyholders travel overseas. Medicare Supplements include foreign travel to help in emergency situations (depending on plan). Medicare Advantage and a Medicare supplement insurance plan are different. To qualify for a supplemental plan, interested parties ought to have Medicare Part A and Medicare Part B. The Original Medicare monthly payment does not cover a supplemental plan. So, ensure that both policies are paid for separately. Spouses will need two insurance policies. They cannot share one Medicare insurance supplement plan. When purchasing these types of policies, ensure that the company has a state license. This license is an indication that they are certified to sell these insurance products. With these plans, no buyer is denied a policy because they have health-related problems (if within Open-enrollment period). The policy is also guaranteed renewable. Supplement plans do not pay for prescription drugs. That would fall under the Medicare Part D plan. Medicare Advantage plans are not comprehensive. Also, the Medicare insurance supplement plan does not cover private duty nursing, contact lens or eyeglasses, hearing aids neither dental or vision care. Any company, which sells supplement plans to someone with a Medicare Advantage Plan, is breaking the law. Also, keep in mind that the following types of insurance are not considered supplemental coverage. These include long-term care insurance policies, Veterans’ benefits, Federal Employees Health Benefits Program (FEHBP), Medicaid or Medicare Prescription Drug Plans. A Medicare insurance supplement plan is often referred to as a Medigap plan. Who Is Eligible for Supplement Insurance? A person can qualify for supplemental insurance in many circumstances. Anyone with Medicare Part A and Medicare Part B. If the enrollment window to purchase is still open, you can get a supplemental plan. This goes up to six months after your Medicare B plan is activated. After 6 months, you have to qualify medically (but can still apply). Are Medicare Insurance Supplement Plans Necessary? Many people with lifestyle diseases or plaguing health issues understand just how detrimental a health crisis can be not only to a person’s day-to-day existence but also to your retirement fund or life savings. Repetitive treatment, hospital visits or even a ride in an ambulance can ruin us and leave us bankrupt. If covering health care costs is a financial struggle, then it is time to consider getting a supplemental coverage plan. These Medigap plans are there to help handle any reoccurring health emergencies, without leading to bankruptcy. 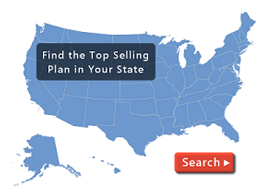 If you are interested in purchasing Medicare insurance supplement plans, then feel free to contact Plan Medigap. We will help you to compare Medigap policies in your area! Call one of our expert representatives (800) 750-2407.